Trusted Tradie Air Conditioning specialise in refrigerated ducted air conditioning (reverse cycle). This means our air conditioners provide comprehensive climate control that is perfect for both cooling and heating Morley, Dianella, Noranda homes. With over 30 years of experience, we are the ducted air conditioning Morley, Dianella, Noranda specialists to go to. Need A Reverse-Cycle Ducted Air Conditioner? Perfect Ducted Heating & Cooling Solutions for homes & businesses in Morley, Dianella, Noranda, Malaga, Beechboro areas. Ducted reverse cycle air conditioners are effective for always keeping you cool in Summer, but many people don’t know that they are one of the best ways for warming your place during Winter. Installation: Why choose Morley, Dianella, Noranda’s Best Ducted Air Experts? The greatest advantage of refrigerated ducted reverse cycle air conditioning (AC) is that it quiet, efficiently and inconspicuously allows you to take total control of your indoor climate. Ducted AC systems are adaptable meaning that you can tailor them to your precise conditions. They offer the best value for money when you compare the area of your home you need conditioned . Which Ducted AC System is Best? Our skilled team at Trusted Tradie Air Conditioning & Heating Morley, Dianella, Noranda can advise a high quality ducted air conditioning system to suit any budget. 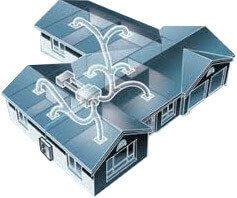 Heating or cooling your complete home. Specifically designed for installations where ceiling space is small, our Slim-Line Ducted series has exceptional flexibility and freedom for small spaces and homes. Daikin is Trusted Tradies major supplier; we carry their VRV, ducted and split system air conditioners. There are only 3 companies in New South Wales who install the whole entire Samsung air conditioning range and Trusted Tradie is one of them. Samsung’s new air conditioning range includes systems with the highest energy saving ratings (COP) the industry has to offer. Our Samsung ducted air conditioning systems are our most competitively priced ducted conditioners. Actron is Australia’s largest locally owned air conditioning company. ActronAir design and build right here in Australia. 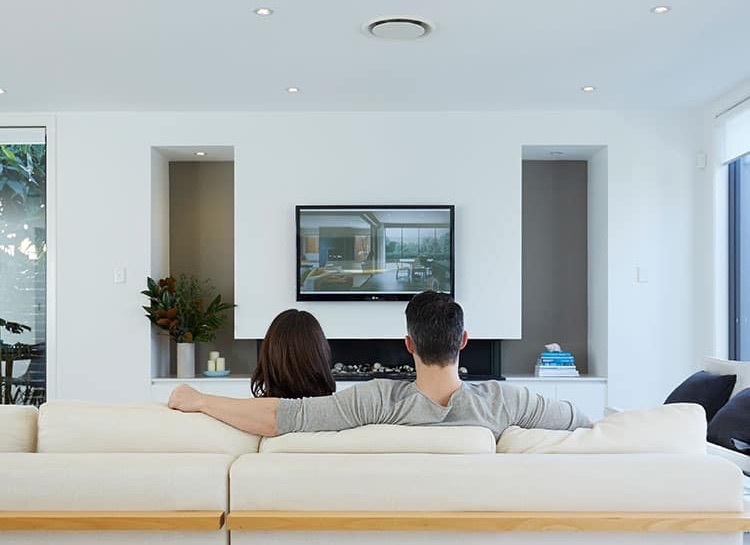 Trusted Tradie are one of the top 5 Panasonic dealers in New South Wales. We carry their full range offering everything from small wall mounted split systems to ducted and mini VRV air conditioning. Trusted Tradie Morley, Dianella, Noranda Ducted Systems offer subtle air conditioned comfort. It can be installed in a new home or tailored to suit an existing one, and once installed, only the controller, the return air and discharge grilles will be noticeable inside your home. Today’s air conditioners can be up to 35 percent more energy efficient than a 10-year old system. Cost savings of up to $700 (residential) and $1200 pa (commercial) may be seen with a new system. The latest Ducted AC units are silent and will cool and heat your home or business 30% faster. Trusted Tradie Air Conditioning can install up to eight separate air-conditioned zones can be added in your home to give you real flexibility, climate control and economy. Small ducted air conditioning units from $4,390 installed (6.0 kw 2.5 hp). Medium ducted units from $5,150 (10kw 4hp). Large ducted AC units from $6,330 (14kw 6hp). Morley, Dianella, Noranda Ducted Air Conditioning Repairs, Service and Installation. Request a Quote: Talk to a friendly Morley, Dianella, Noranda sales team. We will come out to your home for a free measure and quote, and recommend the absolute best system for your house. Get a free on-site assessment at your house. Trusted Tradie Ducted Air Conditioning installers are ready to visit to you and discuss your selections. Contact us today. Phone 1300 663 650. Please Rate this Trusted Tradie! We are a family owned and operated business with over 30 years experience designing and installing air conditioning systems in Morley, Dianella, Noranda WA. Servicing Malaga, Beechboro. Need custom ducted climate control AC system in your home, call our Morley, Dianella, Noranda Trusted Tradies today. Monday through to Saturday, 7.30am to 3.30pm .